In the spirit of Halloween, I did something scary this month. I went tampon-free so I could do a full DivaCup review. If you haven’t heard of The DivaCup, it’s a reusable menstrual cup made from 100% healthcare grade silicone, which you use during your period in place of tampons or pads. FYI: If you already know about DivaCup and this was the nudge you needed to grab one, the image below is shoppable! Just click the icon in the lower left corner to go right to the DivaCup product page at Walmart. 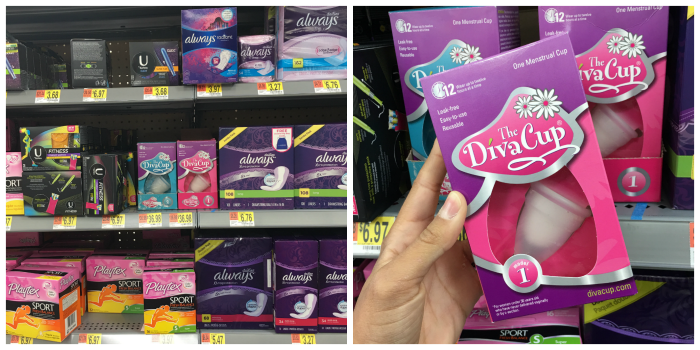 I got my DivaCup at Walmart in the aisle with the pads and tampons. It was very easy to find! Go here to look up a Walmart near you that carries DivaCup. The price of pads and tampons really adds up, especially if your period is heavy. Mine is. 🙁 The DivaCup is a much more affordable alternative because it’s a one-time purchase that can be reused again and again — it’s easily sanitized by boiling it in water or cleaning it with soap and water or DivaWash. There are two DivaCup size options — one for those who have not delivered a child vaginally, and one for those who have. Here’s what comes inside the DivaCup package: the cup itself, a pretty fabric carrying case, and instructions. Make sure to thoroughly read the instructions in the user guide before you start using the cup because it includes important info, like exactly how to insert and remove the cup! The DivaCup won’t leak, so it can be worn safely during any kind of physical activity. I decided to put it to the test by doing a leg workout with it in. I lifted just as heavy as I normally would and didn’t hold back. And guess what? Even with two kinds of heavy leg presses, no leaks. In a typical month, I rarely attempt to do leg day during a heavy period day because I’m afraid of accidental leakage or that I’ll have to change tampons mid-workout. The DivaCup allowed me to work out without worrying about any of that. I’m happy! Warm-up: Walk on treadmill or stepmill for 5-10 minutes. 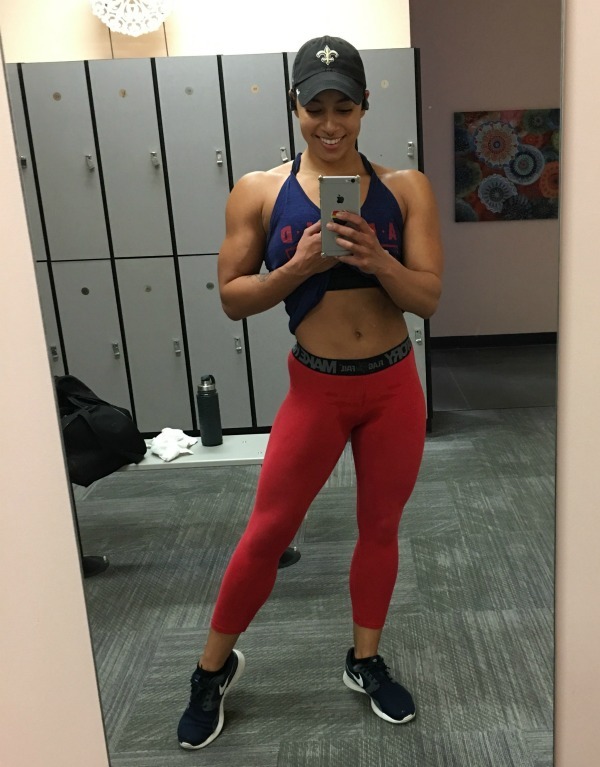 So if you’re tired of paying for tampons and pads, or are tired of rearranging your usual workout schedule to avoid period leaks, give the DivaCup a try! My DivaCup review: 10/10, a total success. Seriously. I’m loving it. Learn more about the DivaCup on their website, or visit DivaCup on Facebook, YouTube, or Instagram! I’ve heard so many things bout the diva cup and are yet to try it. but am so scared! I just feel like id do something silly and end up messing myself. I have never tried this before but I admit that I am curious about it. I am still thinking about buying one.. I bought these for my daughters. So far they are happy with them. I would use them as well but I had to have an emergency hysterectomy so aunt Flo stays away these days. I have one and am so scared to use it! I need to be bold and give it a go. It sounds like it is an awesome thing! I’ve heard of this but haven’t really considered it at length. I’ve always been so scared of a leak while traveling that I simply stick with what I know works. Though the thought of saving money each month is definitely something that appeals to me. Wow, I’m so impressed you worked out hard during your period. Thsi sounds like a great solution. I will definitely be checking it out soon! The convenience and savings of not needing to carry around tampons each month is appealing! Thanks for sharing your experience with this, it gives me food for thought. It’s really nice to see more and more alternatives for women when it comes to dealing with our period. I’m glad this one made you feel comfortable! I’m sure it’s worth a try. Have not tried this yet. But based on your experience and the experience of a few friends, this looks really promising. I’ve never tried this product, but I would probably give it a shot. That’s amazing that it doesn’t leak with all the workouts you do! Sounds like a reliable DivaCup! Would probably try this one! So interesting, still haven’t made the big leap to trying it! I’ve never used or considered using a cup like this. I never really had to think about it as they weren’t really a thing ten years ago when I had my hysterectomy. I have heard a few people mention that they liked them because they were kind to the environment. I’ve been hearing a lot about this product. I’m not sure if I could try it but I really am curious. It sounds like it’s pretty awesome. I haven’t heard of this DivaCup since today but I think it is so worth it! I would love to give this a try! I’ve always wondered about this. Thanks for your thoughts. It’s so much better getting it from you than from a TV ad. The idea of a cup like this sort of intimidates me. I am not sure that it would be the choice for me but it looks amazing for those that make it their choice for protection. I am interested in this product. I need to to buy one and see what the buzz is all about! I wish I had the courage to try this. I am so nervous for many reasons. I’m not sure I would have the time or dedication to dump/clean it with the habits of having the convenience of using tampons for so long. Wow, I’ve never heard of this product before until now. I love that you can reuse it so it saves a lot of money. I’m not sure I could be bothered with the whole emptying and cleaning part of it but I do find it interesting. 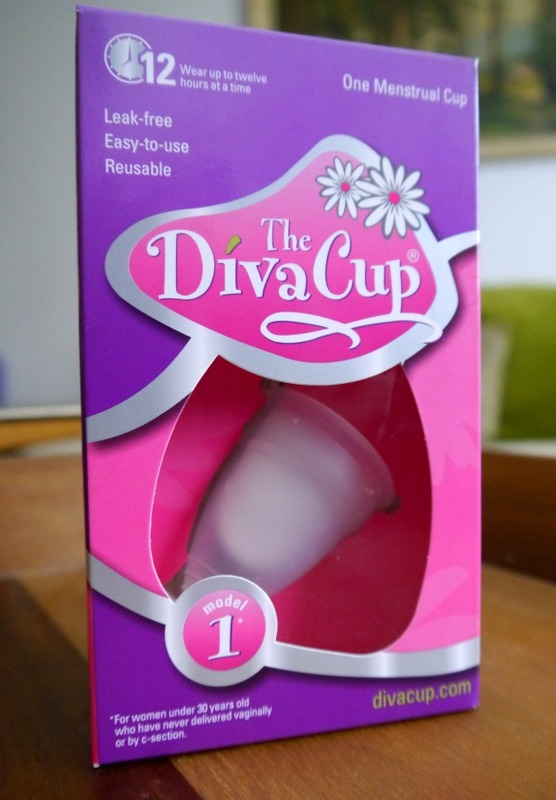 With all the chemicals and synthetic materials in the tampons I have wondered about trying the Divacup. It definitely helps to read your review and see what an actual user thought about it. I’ve always been curious about this cup and how it works. 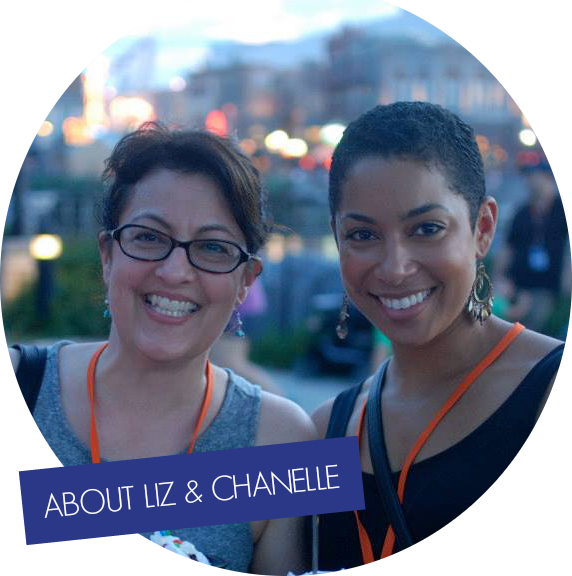 It’s so nice to read reviews from fellow bloggers about it. Thanks for sharing your experience. I switched to cloth pads and a menstrual cup shortly after my period returned with my firstborn. I am never going back to tampons. Cups are so much more convenient! My daughter and I were just talking about the DivaCup. She was interested in trying it. I am going to share your post with her. I have heard a lot about these products. I personally don’t think I could try this though. I think it’s great, just not for me. Love all the positive things I’ve heard about them though. I haven’t considered trying this before because it seemed like they would leak, but if you can do a full leg workout, it is definitely worth a try. Anything to make that time of the month easier is great to me! I have heard really great things about the DivaCup. I personally use SoftCup. But have been meaning to try this brand! Well that’s an interesting experiment. I’m not sure the Diva cup is for me but this will definitely be helpful for some. I have heard of a lot of people changing over to a cup rather than tampons of late, I don’t have periods myself but I think if I was to come off the pill and start again it is definitely something I would look into. You are very brave to try this. I have seen the DivaCup in the store but honestly hadn’t read a review of anyone who had used it yet. Love that bloggers are able to review so that we know what happens with products and how they went. Glad to read your experience with the DivaCup, I am not yet ready to go tampon free but glad to hear that this is an option when I am ready. I have never thought of using a DivaCup before. I know a lot of people who use them because they are good for the environment. I know a couple people who use this and they love it. I’ve never been brave enough to try it. I keep reading great things about this product. I’m not sure if I’m ready to make the change though?? Too old to change perhaps. I admit it made me giggle that the sizes are based on if you have kids. I’ll have to do some more reading on these. Interesting, for sure. Thanks for sharing your personal experience. Fantastic it worked during your workout! That’s really important. I agree. I wouldn’t want to try one if it couldn’t stand up to some exercise! I have tried various cups in the past. I am no longer in need of these but my daughter might like it. The DivaCup is something I have been wanting to try. I was worried about leaking as I also have a very heavy flow. I am excited to give it a try after reading your great review. More and more women are turning to these cups and other natural ways. Personally I think this is a great alternative. Wow! You’re so brave! I don’t know if I could get out of my comfort zone to use this, but you might have sold me! I have been so skeptical of this. I’ve seen it around for awhile now, but always wondered if it would shift around and spill out. I’m gonna have to give it a try because tampons are so irritating. I have never heard of this. I had no idea there was something like this out there. It look interesting, I will have to do some more research on this product and see if it is ideal for me! Eeeps! This is kind of creepy to me, hahahaahhaha! I am glad it worked out for you – and I am sure it’s great for some. But I like to be IN and OUT… I don’t want to go through the process of cleaning, etc… My husband would be like “what’s for dinner”… BAHAHAHAHHAHA! I’ve heard of the Diva Cup but have never tried it. I kind of wonder exactly how it works (though I have a good idea, lol …) so I’d have to do more research before purchasing. I have heard so much about these. My friends use them but I’m not sure if they’re for me or not. I might try one out someday. I HAVE to try this! It seems like the perfect answer to periods. No more buying tons of pads and tampons and no more leaks. Sweet! I’ve heard of these but never tried it. I’ll have to pass along the info to my daughter. She has heavy periods and this may be just what she needs. That sounds great! I’ve heard of these before, but I’ve never tried it. I love the idea of not having to worry about leaks OR buying so many pads and tampons. Thank you! I’ve heard good things about the DivaCup but have been afraid to try it. I’m still on the fence but I guess it wouldn’t hurt to try it at least once. I recently started using all organic feminine products, but would like to take that one step further with a reusable menstrual cup. How wonderful that the DivaCup passed your heavy workout test. I plan to give it a try for sure!